Spring always puts me in a cleaning mood. I want to scrub off the winter doldrums, open the windows, and let in some fresh air. Here are some of my favorite cleaning tips for those pesky jobs. To freshen up your garbage disposal: Run water into drain, full hot. Turn on garbage disposal and pour in about a tablespoon of liquid dish detergent. Let water and disposal run until the suds are rinsed away. Or grind up slices of lime or lemon peels while flooding the drain with hot water. Coffee-maker Maintenance: Mix 2 cups white vinegar with 2 cups water in the coffee pot. Pour the vinegar water into the reservoir and press the "brew" button. The vinegar mixture will remove the mineral deposits from the heating element. You might even see bits of it in the "brewed" mixture. If you do, mix a new batch of vinegar/water solution and brew again. Then brew plain water several times to rinse the inside of the coffee-maker. Burned food in the bottom of a pot: Add a squirt of liquid dish detergent and half an inch of water to the pot. Bring the water to a boil, then turn off the heat and let the water cool to room temperature. The burned food should clean up quickly. Accumulated grease on cookie sheets: In a GLASS bowl, mix ¼ cup baking soda with enough hydrogen peroxide to make a thick paste. Smear mixture on cookie sheet and scrub with small, circular motions, pressing firmly. Rinse and repeat until cookie sheet is clean and shiny. Wash sheet with soapy water and rinse well before using. Don't get the cleaning mixture on your clothes. It could remove the color from fabric. Always $0.99! Available for all e-readers. For sluggish drains: Pour ½ cup of baking soda down the drain followed by ½ cup of white vinegar. Cover and let bubble for a few minutes. Then flush with a couple quarts of boiling water. For a stale-smelling microwave: Mix 2 tablespoons of lemon juice with 1 cup of water in a microwave-safe bowl. Heat in the microwave until the water boils, about 3-5 minutes. Steam will collect on the interior walls, loosening any greasy residue. Wipe down with a paper towel for a fresh, clean microwave. Wood Floor Cleaner: An 85-year-old friend recommended white vinegar to keep wood floors sparkling clean. Add 1 cup vinegar to a gallon of warm water and sponge mop. Narrow-necked Vases: If you can't get your hand down the neck of your flower vases, use Alka-Seltzer. Fill the vase half full with water. Drop in 2 Alka-Seltzer tablets and let the fizz do the dirty work for you. Drain and rinse. Range Hood Filters: Once a month or so, soak hood filters in hot, hot soapy water. Rinse before replacing. This will keep them grease-free and in good working order. Clean Cutting Boards: For wood cutting boards, sprinkle with course salt and rub with ½ a lemon. Plastic cutting boards can be run through the dishwasher. Once a month or so, soak plastic cutting boards in a mild bleach solution (2 tablespoons bleach to 2 quarts of water). Garbage Container: wipe the inside and outside with a soap solution (1 teaspoon dish soap to 1 quart warm water). This will get rid of any lingering odors or messy drips. I'm always looking for tips to make cleaning faster and easier. What tips do you have to offer? Donna Fasano is a USA Today Bestselling Author who has written over 30 romance and women’s fiction titles. She's a 3-time winner of the HOLT Medallion and recently won the Books & Pals Readers' Choice Award for Best Romance. 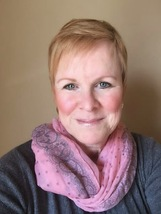 Learn more about Donna at her blog, or connect with her on Facebook, Twitter, and Pinterest. Sign up for her newsletter to learn about her new releases. She loves to hear from readers. Did you know Sweet Romance Reads publishes a newsletter? Sign up by entering your email address in the box located in the right-hand column. Some people get so freaked out by the idea of allowing the family dog to lick the dinner dishes. *whispers* Those people don't get invited to my house to eat. lol We let Roo do some licking too. Best Pinterest tip for me was using a baggie with 1/2 cup ammonia in it for the stove/burner pan. Keep overnight, and the crud just falls off with a cloth. I'm going to try this, Shaleen. Thanks! Great suggestions, Donna. 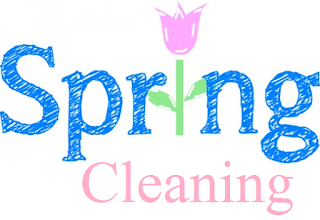 My biggest challenge right now is trying to keep my windows free of spring pollen and dust. It's everywhere. Ugh. Is it me, or does the pollen seem overly plentiful this spring? Great tips, thank you, will make my life betterI want to start to try using more vinegar for cleaning.